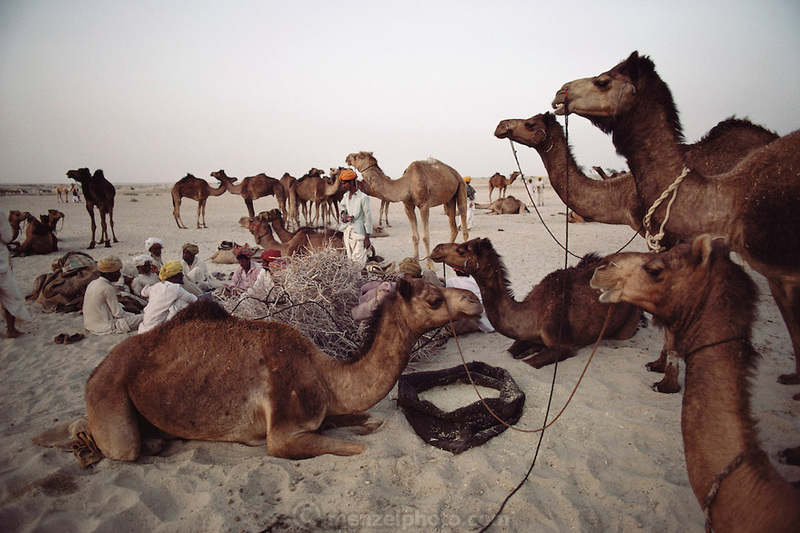 Camels and owners at the Mallinath Fair, one of the biggest cattle fairs of Rajasthan that lasts for two weeks. It is held annually in the desert near Tilwara, a village in Rajistahan (March-April). Highly popular breeds of cows, camels, sheep, goats and horses attract people not only from Rajasthan but also Gujarat and Madhya Pradesh. Rajasthan, India. .